Located on the shores of Burns Lake this community is a year round destination. The Lake District promises over 4800 km (2976 mi.) of shoreline to entice the sportsfisher; summer or winter. Some of the province's largest char (48 lb) and rainbow trout (10 lb) have been landed on Uncha and Francois Lakes. However fishing is not all that draws visitors to this area. 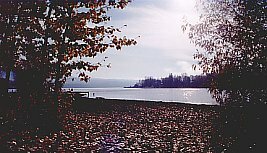 The wilderness setting of Tweedsmuir Park is a magnet for some, while others find rockhounding for agates and opals at the Eagle Creek Deposits more to their interests. Hiking and trail riding are offered on the area's many trails which in the winter are used for cross country skiing and snowmobiling. Logging is one of the main industries in the region and a self-guided tour has been set up to allow visitors to see how forestry decisions are made. Whether fishing is your passion or you just prefer to explore and take advantage of the many recreational activities in the area, Burns Lake can keep you happy year round. 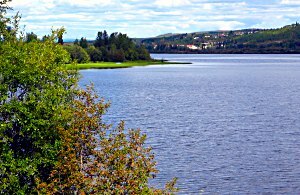 Access: Located on the main Highway 16 (Yellowhead), Burns Lake is easily accessed by car, bus or rail. Charter air service is also available. Accommodations: There are a number of private and provincial campsites in and around the town with a variety of lodges and resorts in the vicinity. There is also a good selection of motel/hotel accommodations available.